Located at a walking distance from the holy Sai Baba temple, guest can experience serenity and tranquility in this service apartment. 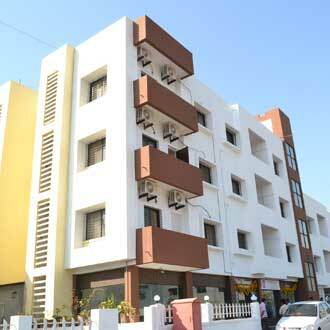 There are 21 well-appointed rooms which provide all the modern comforts at a budgeted price. The meditation room brings in positive atmosphere. Guests are also offered with secure parking facility and sumptuous food. Located at a distance of 2.5 kms from the railway station and just a kilometer from the bus stand, this budget apartment truly offers a comfortable stay.